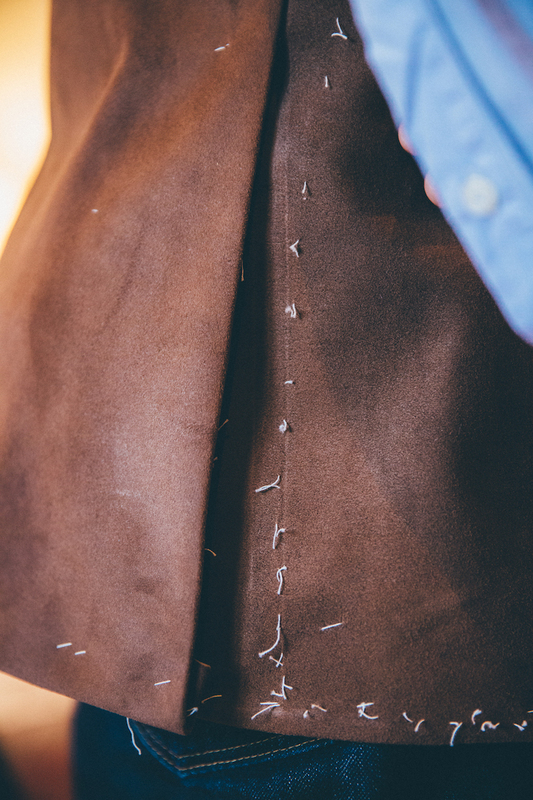 Quite a few people asked how my suede Cifonelli jacket was being made – on the blog, on Instagram, on Facebook. 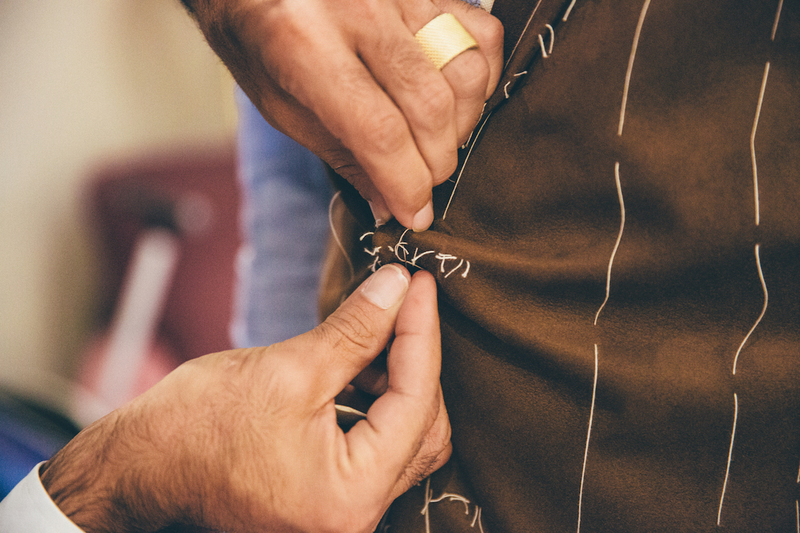 And by email, with two separate tailors asking for advice to make one for their clients. 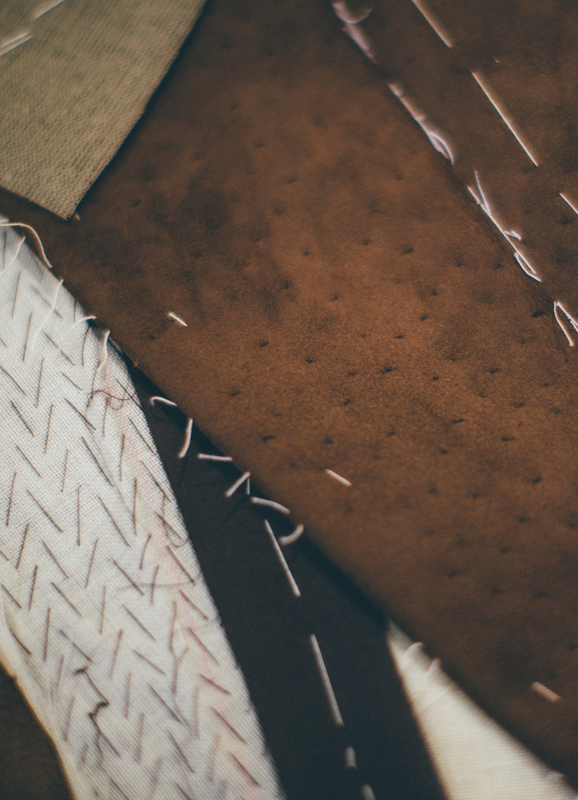 Key to the questioning was how you could sew basting stitches into suede without leaving holes. Even velvet has to be treated very carefully, after all, to stop it bruising. It’s perfectly possible to sew into most fine suedes, and then rub the hole out afterwards. If the suede is fine enough, you can use a regular tailoring needle, rather than the thicker one normally used for leather. That would leave too large a hole. In this case we were also helped by the suede we used – a particularly fine lambskin. Normally suede jackets are made in goat, but we chose lamb because the skins are bigger. That meant we could make the back and front in just two pieces, rather than having a horizontal seam at the waist. Most leather jackets have this, but it would have been a shame in a piece of bespoke tailoring. A nice side effect was that the lamb was slightly thinner, making the stitching easier. Other things aren’t so easy. For example, you can’t use steam as much to shape the suede, as you can with wool. 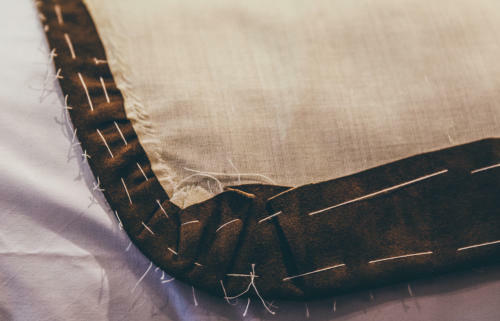 But then no other material is quite as malleable as wool, and we were still able to get a nice high armhole by working in the excess of that fine suede of the sleeve. Lorenzo has made a few leather and suede jackets over the years. 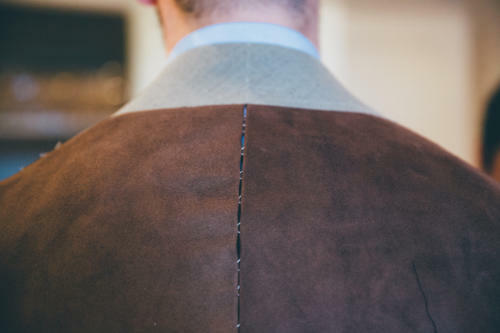 Suede is a lot nicer than leather, both because it is easier to work and because its softness means you can see the handwork of the tailoring – in the swelled edges of the lapels, around the pockets and so on. When I visited Paris recently for the second fitting, he showed me a few leather pieces they’re working on – some of them patinated by a local shoemaker. But leather never really looks like tailoring, whereas suede does. 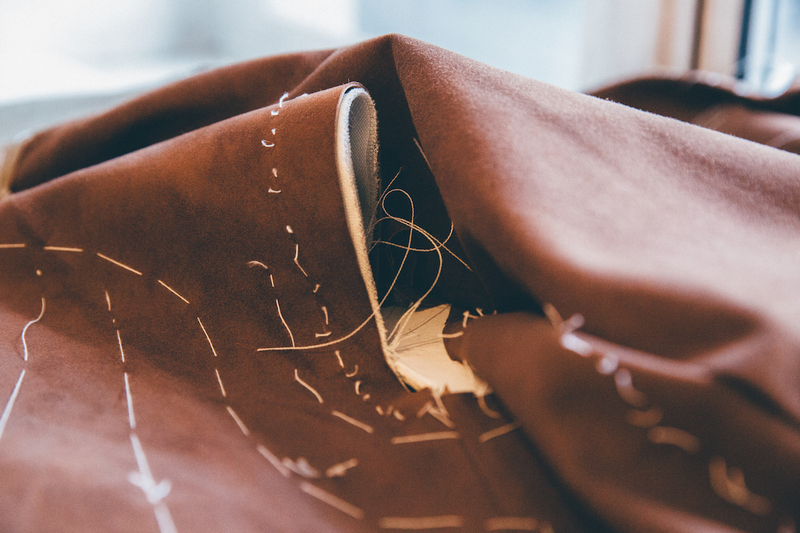 You can follow the discussion on Making a bespoke suede jacket by entering your email address in the box below. You will then receive an email every time a new comment is added. These will also contain a link to a page where you can stop the alerts, and remove all of your related data from the site. Can’t wait to see the finished piece! or I live in Herne Bay Kent do you have anywhere local so that i could be measured please. Hi Keith – this was made by the Parisian tailoring house Cifonelli. I am not a tailor myself. 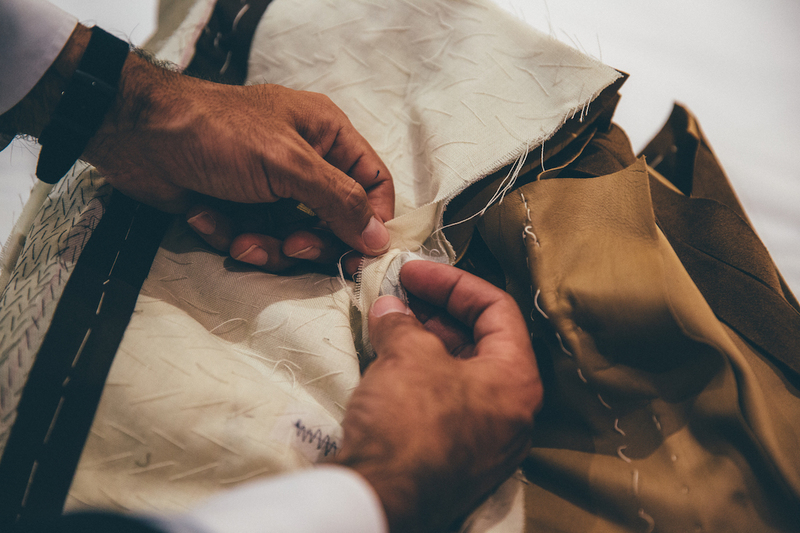 Any suggestions on not very expensive bespoke tailoring in Florence? Keep in mind that Liverano is far out of my price range (I nderetand they start at 4000€). I would be hoping, if possible, to be in the neighbourhood of 1000€. Also, any other purchasing suggestions for the city of Dante are more than welcome.